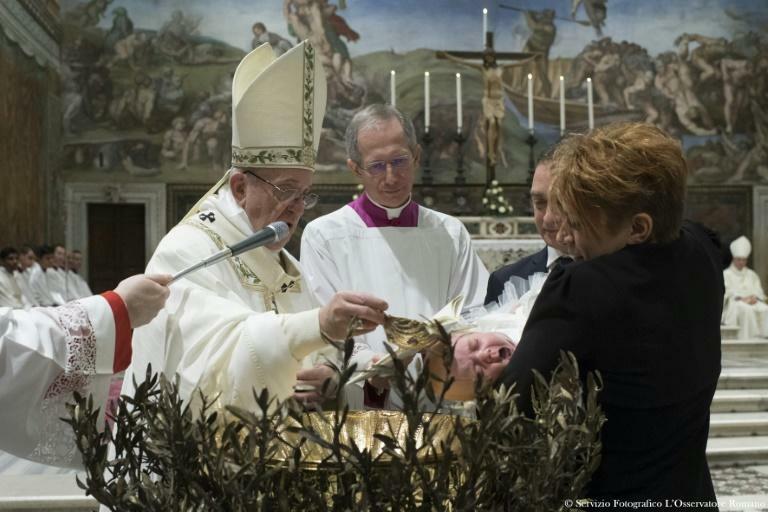 Pope Francis encouraged women attending a ceremony in the Sistine Chapel on Sunday to feel free to breastfeed their children in the church. "The ceremony is a little long, someone's crying because he's hungry. That's the way it is," the pontiff said. "You mothers, go ahead and breastfeed, without fear. Just like the Virgin Mary nursed Jesus," he told worshippers attending an annual ceremony commemorating the baptism of Jesus. The Argentine pope on Sunday baptised 28 children -- 15 boys and 13 girls.